The Lyric (formerly the Theatre Royal stage) is the largest of our auditoria and has a capacity of 1320 seats including space for 9 wheelchairs. 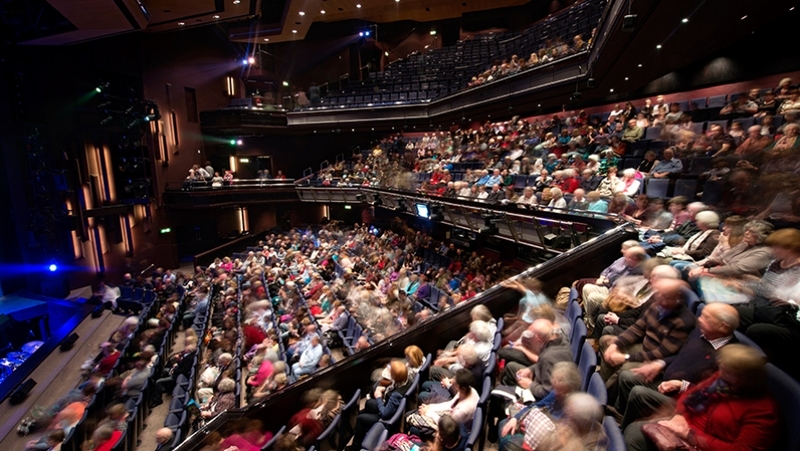 The venue hosts a wide range of touring productions including West End musicals and drama, opera, ballet and contemporary dance. Click here for more information on companies that visit us regularly. 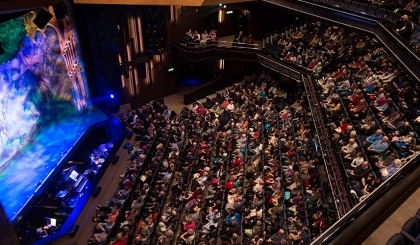 The auditorium was completed in 1982 and is fairly young in theatre years, hence every seat – aside from those sold as Restricted View – has a clear view of the stage. Choice of seat is subjective: for drama you may prefer a closer view from the Stalls for a more intimate experience or you may find that the elevation of the Circle or Upper Circle offers a more all encompassing view of a musical. The venue is fully accessible to patrons using wheelchairs and we offer several services to aid patrons with sight or hearing impairments including audio headsets and signed, captioned and audio described performances. The Theatre is located at the West End of Royal Parade in the city centre and contains our three auditoria; The Lyric, The Drum and The Lab. 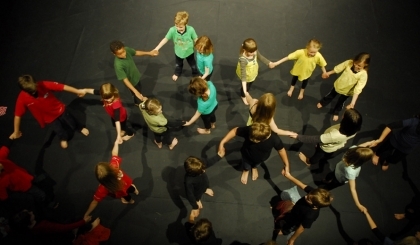 The Theatre is approximately 15 minutes walk from the train station and 10 minutes walk from the bus station – although most local buses stop on Royal Parade.